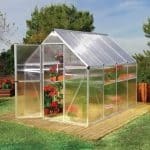 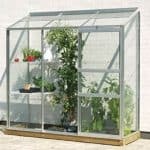 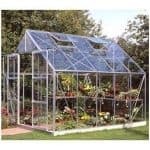 This 6 x 6 greenhouse has a number of features that make it a truly great piece of garden equipment. 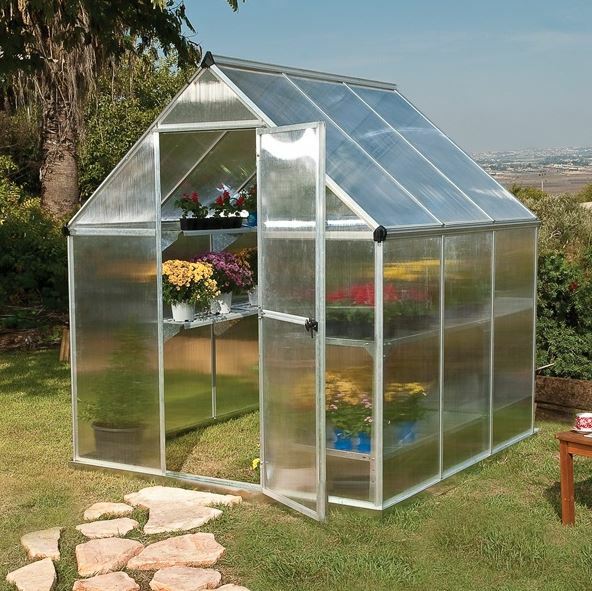 Its compact size hides a lot of aspects that help you as a gardener all year round. 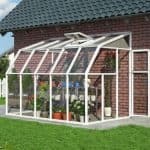 For example, there is an integrated gutter system that collects rainwater and stops it from causing a problem. 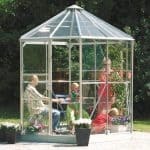 There are also high eaves so you get better headroom and more working space overall. 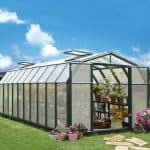 The polycarbonate glazing is not only shatterproof, but it also protects against UV rays.